In a world consumed by digital shortcuts, creating meaningful influence in your business community matters more than ever before. Likes, links, shares and follows are not the answers to unlocking business potential. Human engagement is the key to success. 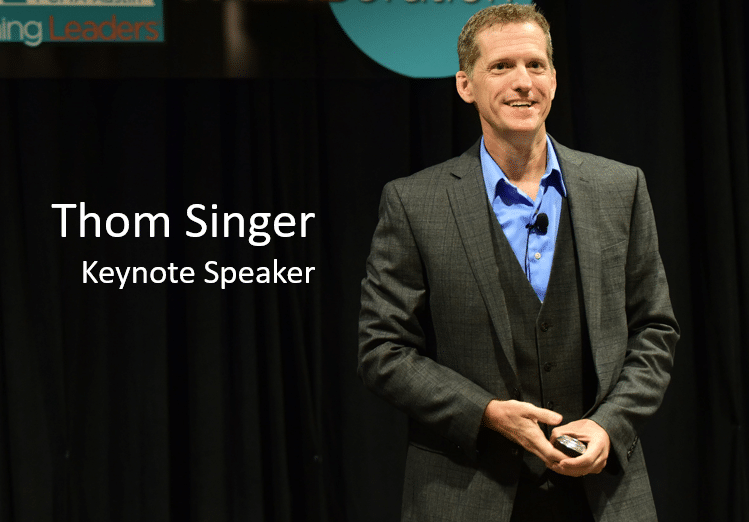 Thom Singer brings decades of sales, marketing, and leadership experience to his keynote presentations and combines this with an entertaining storytelling style. He is committed to delivering strong content with specific actions items that will impact any business event or association convention. As a keynote speaker, Thom works to engage your audience while helping set the tone for the whole meeting. At corporate or association conferences he will set the tone for engagement between the participants at the event and beyond. He does more than speak and leave, but instead he participates as a member of the community you have created at your event – before, during, and after the presentation.